Turkey is the le ading cherry producer of the world. Cherries contain anthocyanins, the red pigment in berries. 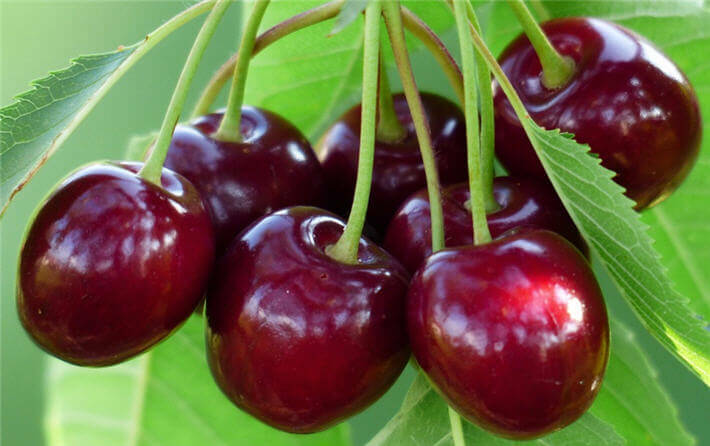 Cherry anthocyanins have been shown to reduce pain and inflammation. Anthocyanins are also potent antioxidants under active research for a variety of potential health benefits， such as lower blood levels of cholesterol and triglycerides. Beginning in late May, peaking around June 12 and running through to the end of July, Turkey has traditionally been one of Europe’s major sources of cherries, delivering high quality volumes of Napoleon, Early Burlat and other varieties across the continent.